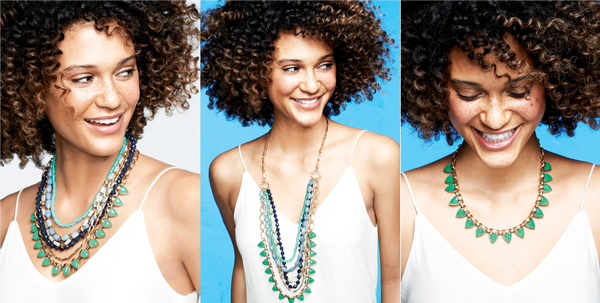 stella & dot’s new 2014 collection is here! Stella & Dot has done it again. I say this every.single.season…. but they really have outdone themselves with this collection. There are neon and soft colors, pearls, rocker and boho pieces, totes, travel accessories, and gorgeous scarves. Our team of designers, led by the lovely Blythe Harris, are so incredibly talented at what they do. They travel the world looking for inspiration, then they bring those ideas back to our SoHo design studio and create beautiful works of art in so many of our pieces. They make our jobs as Stylists so easy because the product practically sells itself — and more so, I genuinely do love almost every piece in the line, every season. So I feel good about selling these pieces and helping women be a little more stylish in their everyday lives. It’s hard to pick a #1 — so here are my top favorites. Norah Pendant – $98: This citrine is the perfect bright dose of color we need going into spring, but it’s really wearable now, too! I LOVE it over a cobalt blue sweater, and it looks fantastic over white, black, grey, navy, and patterns, too. Linden Necklace – $138: This photo doesn’t even do the necklace justice on how gorgeous the colors are. In person, they literally look like they’re glowing. Green is my favorite color, so I really love this new piece for spring and summer. I think it will stunning over white, but will also be fun over pink, navy, black, and grey, to name a few. Milana Necklace – $79: I am a sucker for a good tassel necklace (hence my undying love for the Rebel Pendant). 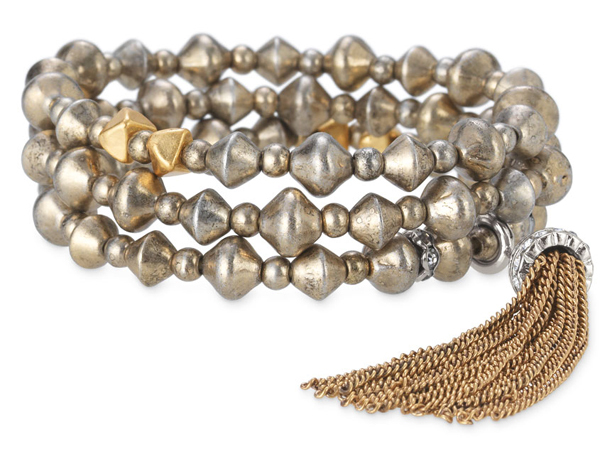 What makes this one so great is the mixed metals and the fact that you can remove the tassel for a different look! 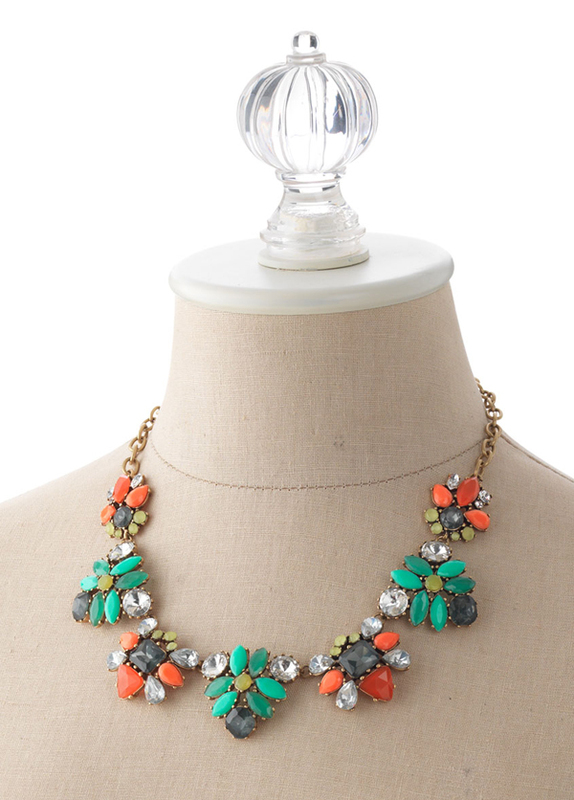 Elodie Necklace – $89: So many pretty colors — they sort of look like candy! 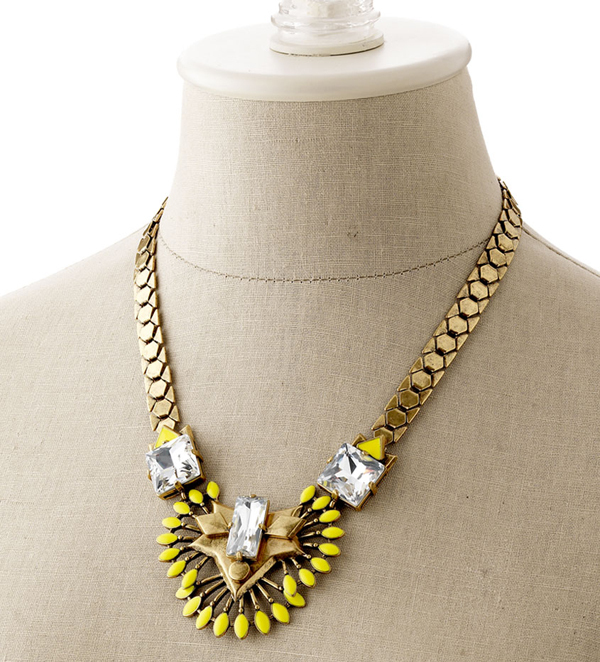 This piece also looks extra statement-y when layered with the Somervell Necklace. Cobalt blue is a surprising complement to these colors — it really brings out the boldness of the stones. Sutton Necklace – Stone – $178: Five necklaces in one. I have the mixed metal version that came out last year, and it’s the epitome of a versatile piece of jewelry. You can wear it short with all strands, long with all strands, take just the green stone strand off and wear it on its own… I could go on and on. I love the rocker look, but that it’s also preppy and fun with lots of great color. 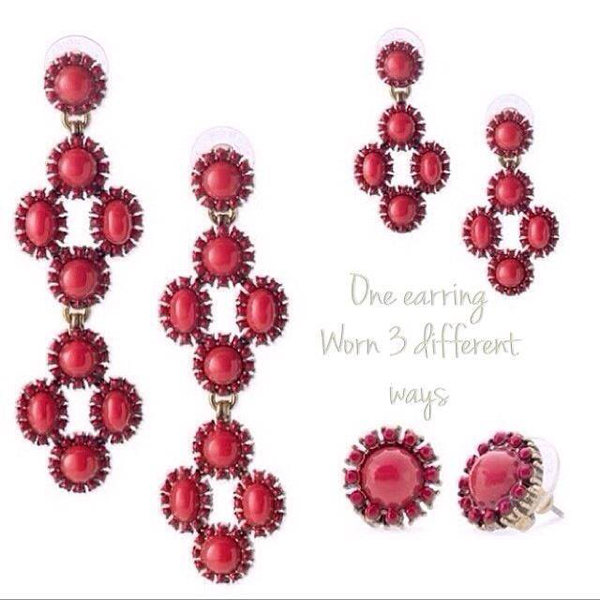 Sardinia Chandeliers – $59: I mean, seriously… one earring that you can wear THREE different ways? Sign me up! Go from a glam statement earring, to a medium-sized chandelier, to a cute little stud in the snap of a finger. Norah Chandeliers – $49: Continue the bright citron trend with these fun chandeliers. They’re sure to brighten up any face and any outfit. I think they’ll look especially stunning on ladies with dark hair. Cleopatra Studs – $24: These are such great everyday studs. They go with almost every one of our gold/bronze necklaces in the collection, and they’re so easy to pop on and run out the door. And you can’t beat $24. A definite must have for any woman! Janice Studs – $24: Here we go again with my favorite color. These are a substantial stud, and they’ll add a great little pop of color to any outfit. Macey Bangle – $39: Aside from the pretty colors, this bangle is cool because it expands when putting it over your wrist! It’s super lightweight, and it looks great on its own or stacked with other gold bangles. Milana Bracelet – $49: Three separate bracelets that can be worn together for a stacked look or worn on their own for something more simple and understated. The tassel is also removable! 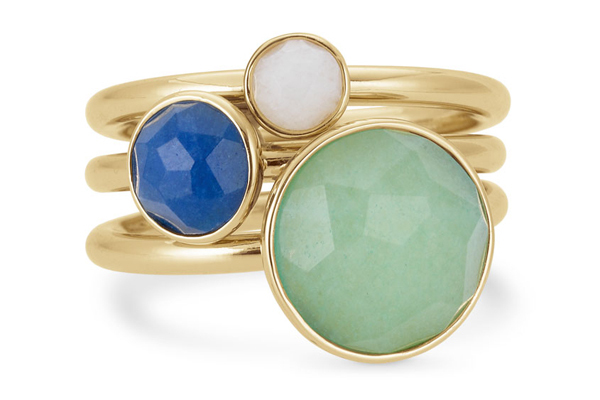 Florence Stackable Rings – $49: Three beautiful stone rings of varying sizes (the stone, not the ring size) — like so many of our other pieces, these look great stacked together and are also cute on their own. I just love the colors this season! Rings come in sizes 5-9. Cross Ring – $39: Our Interlock Cross necklaces have been runaway hits, so it only makes sense to have a ring as well. It’s such a pretty little statement – with just the right amount of sparkle. And it’s a steal at just $39. 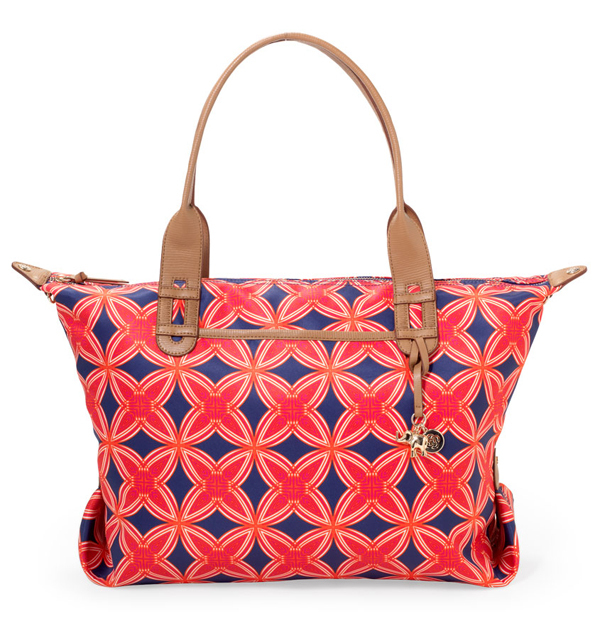 How Does She Do It Bag in red/navy pattern – $98: The HDSDI bag is something that every woman can make good use of, whether they’re a mom of 3 kids or a businesswoman on the go. It’s perfect for stowing a laptop and paperwork, traveling to the beach, or using as a diaper bag. I just love this new pattern, and the inside pattern is pretty, too! Tons of pockets, and the material is water-resistant. The Shift – $198: This is another multi-function bag that I am swooning over. 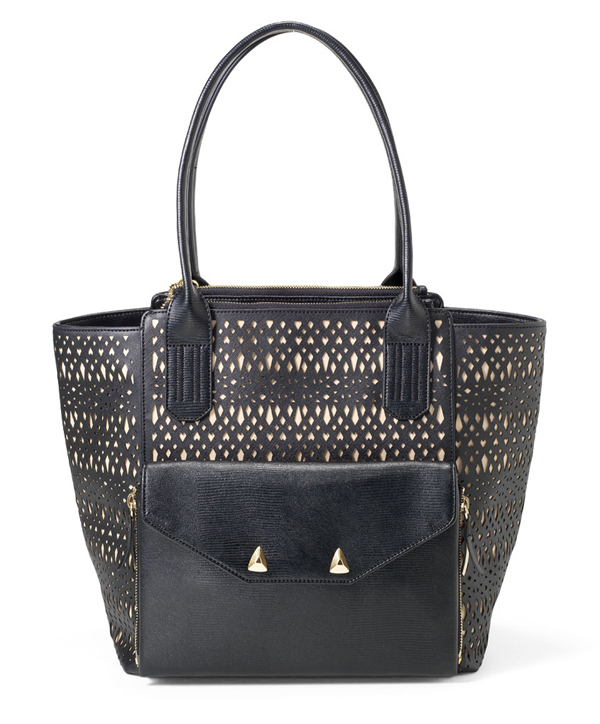 Leather, hand-stamped cut-out pattern, and the front clutch zips right off to take this bag from day to night. Everyone needs a black bag, so why not make it one that you can get even more use out of? Double Clutch in citrine – $89: This color is so bright and cheery, and it also comes in cerise, which is a reddish-coral color. Great for spring/summer nights out, and it could even be used to brighten up a winter outfit. The double clutch has 2 zipper sections, as well as a mirror for those quick hair/makeup checks. 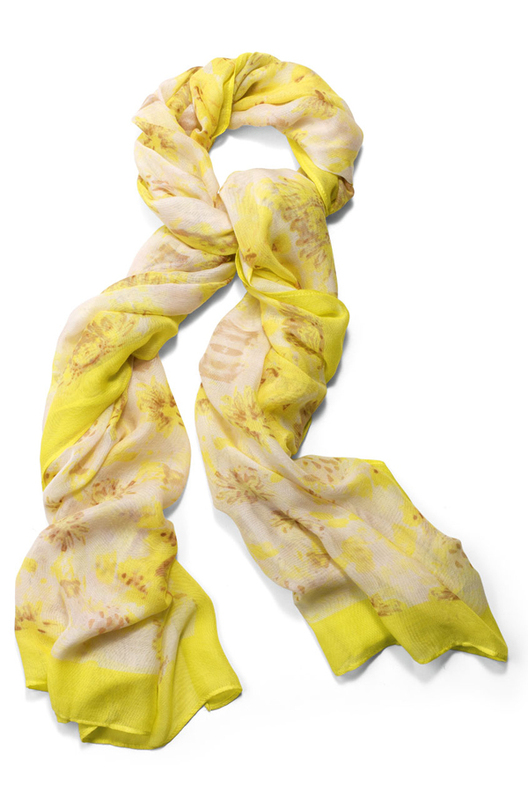 Palm Springs scarf in citrine floral – $59: More bright color, but in a really airy way. This scarf is huge, and it can be worn tons of ways as a traditional scarf, but it can also be worn this spring/summer as a pool sarong, and it makes a very stylish blanket on cold airplanes. This would make a fantastic gift! See something you love? Hop on over to Melissa Hayes, Stella & Dot Stylist to shop today!